April 20 – All of our institutions have failed us if they do not use their power and act against this crime against humanity being carried out in Africa today. I received a call this morning from an Ivorian friend who calls it genocide what Sarkozy’s troops are doing there. Blood, blood, everywhere. He was able to get out. But what about the rest? We must try to stop President Obama. He has the power to say no. So far, he is good at saying yes to all the wrong people. So we must do more than we think we can. Anything less places more blood on everyone’s hands. I weep. But I know I must do more than weep. I cannot stand idly by. 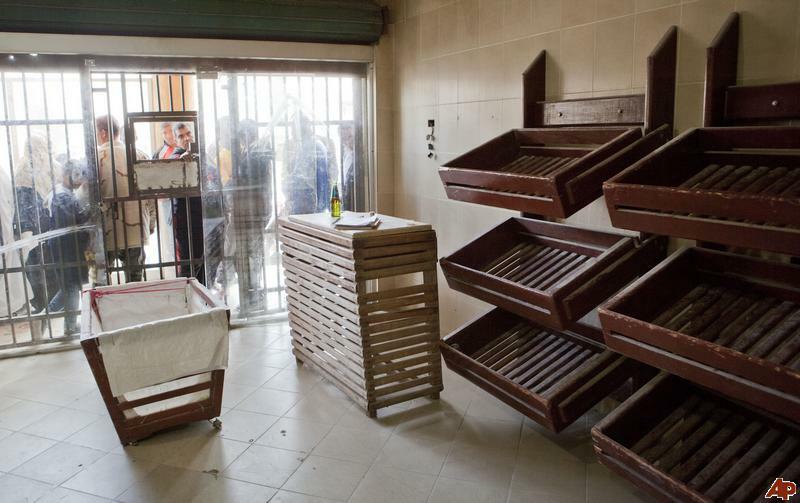 Depleted uranium in Libya. Generations to come will suffer the health effects. British ground troops joining the U.S. troops already on the ground there. A report today says that Obama gave U.S. proxy forces on the ground in Libya $25 million in addition to the $200 million they got from an illegal oil sale to Qatar. Now is not the time to be confused by the disinformation artists and their multi-layered scams. They lied about the 2000 and 2004 elections; they lied about Iraq and then laughed at you for believing them; they lied about 9/11; they lied about the bailouts; and they’re lying now about these Africa actions. My question is, with a record like that, why would anyone believe them now? It was Qaddafi’s Libya that offered all of Africa its first revolution in modern times – connecting the entire continent by telephone, television, radio broadcasting and several other technological applications such as telemedicine and distance teaching. 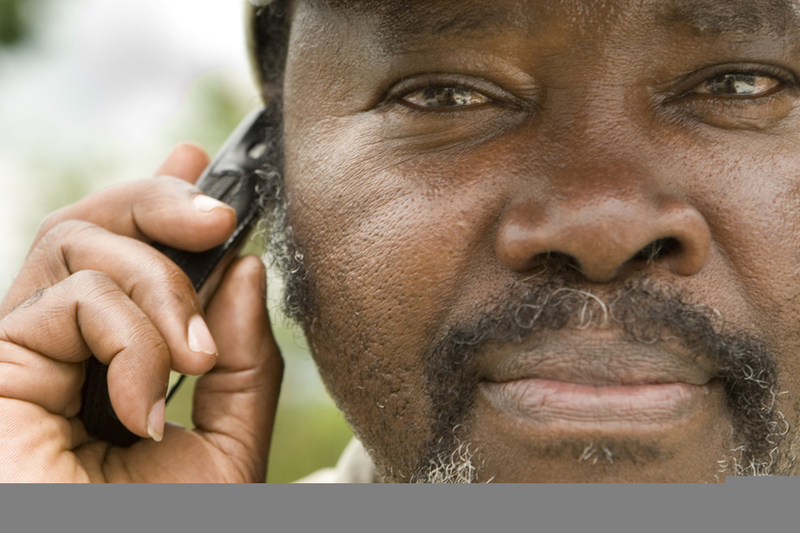 And thanks to the WMAX radio bridge, a low cost connection was made available across the continent, including in rural areas. An African satellite only cost a onetime payment of US$400 million and the continent no longer had to pay a US$500 million annual lease. Which banker wouldn’t finance such a project? But the problem remained – how can slaves, seeking to free themselves from their master’s exploitation ask the master’s help to achieve that freedom? Not surprisingly, the World Bank, the International Monetary Fund, the USA, Europe only made vague promises for 14 years. Qaddafi put an end to these futile pleas to the Western “benefactors” with their exorbitant interest rates. The Libyan guide put US$300 million on the table; the African Development Bank added US$50 million more and the West African Development Bank a further US$27 million – and that’s how Africa got its first communications satellite on Dec. 26, 2007. 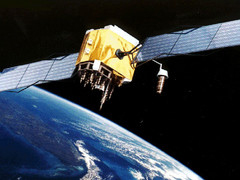 China and Russia followed suit and shared their technology and helped launch satellites for South Africa, Nigeria, Angola and Algeria, and a second African satellite was launched in July 2010. The first totally indigenously built satellite, manufactured on African soil, in Algeria, is set for 2020. This satellite is aimed at competing with the best in the world, but at 10 times less cost, a real challenge. This is how a symbolic gesture of a mere US$300 million changed the life of an entire continent. Qaddafi’s Libya cost the West, not just depriving it of US$500 million per year but the billions of dollars in debt and interest that the initial loan would generate for years to come and in an exponential manner, thereby helping maintain an occult system in order to plunder the continent. 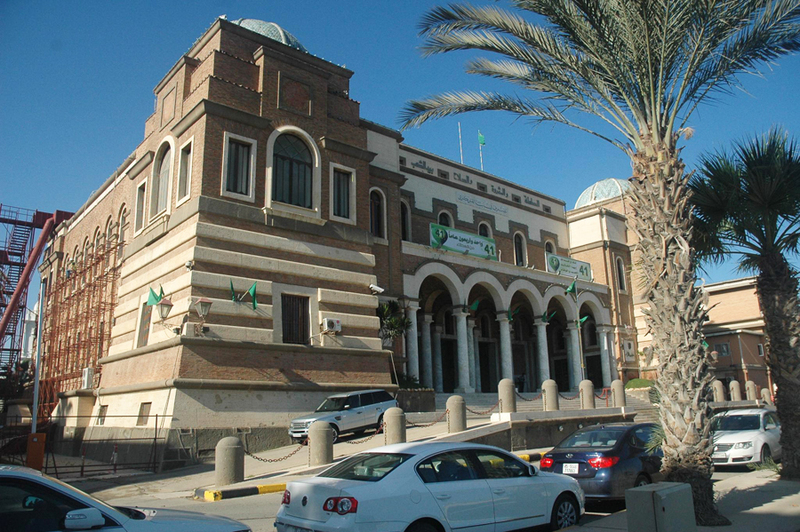 The US$30 billion frozen by President Obama belongs to the Libyan Central Bank and had been earmarked as the Libyan contribution to three key projects which would add the finishing touches to the African federation – the African Investment Bank in Syrte, Libya, the establishment in 2011 of the African Monetary Fund to be based in Yaounde with a US$42 billion capital fund and the Abuja-based African Central Bank in Nigeria which when it starts printing African money will ring the death knell for the CFA franc through which Paris has been able to maintain its hold on some African countries for the last 50 years. 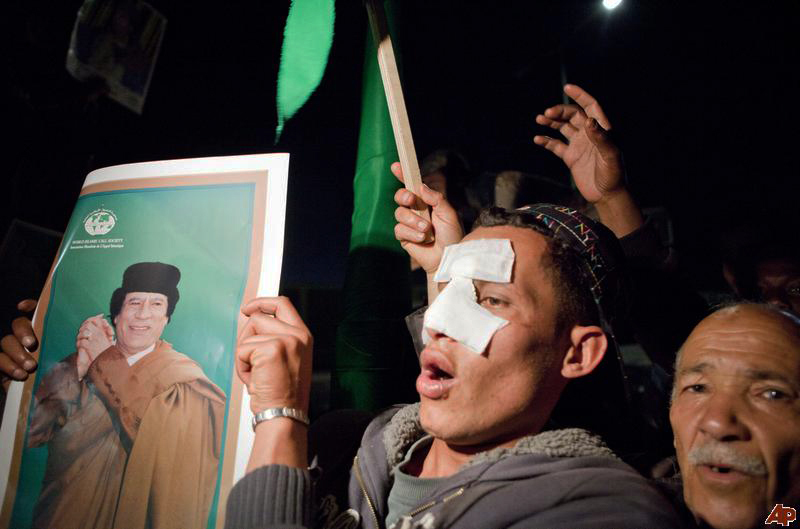 It is easy to understand the French wrath against Qaddafi. The African Monetary Fund is expected to totally supplant the African activities of the International Monetary Fund which, with only US$25 billion, was able to bring an entire continent to its knees and make it swallow questionable privatization like forcing African countries to move from public to private monopolies. No surprise then that on Dec. 16-17, 2010, the Africans unanimously rejected attempts by Western countries to join the African Monetary Fund, saying it was open only to African nations. It is increasingly obvious that after Libya, the Western coalition will go after Algeria, because apart from its huge energy resources, the country has cash reserves of around €150 billion. This is what lures the countries that are bombing Libya and they all have one thing in common – they are practically bankrupt. The USA alone has a staggering debt of $US14,000 billion. France, Great Britain and Italy each have a US$2,000 billion public deficit compared to less than US$400 billion in public debt for 46 African countries combined. 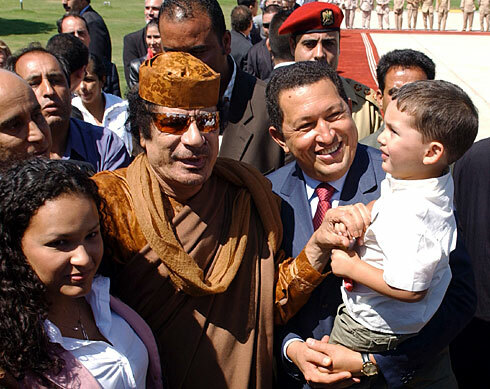 To destabilize and destroy the African Union, which was veering dangerously (for the West) towards a United States of Africa under the guiding hand of Qaddafi, the European Union first tried, unsuccessfully, to create the Union for the Mediterranean (UPM). North Africa somehow had to be cut off from the rest of Africa, using the old tired racist clichés of the 18th and 19th centuries, which claimed that Africans of Arab origin were more evolved and civilized than the rest of the continent. This failed because Qaddafi refused to buy into it. He soon understood what game was being played when only a handful of African countries were invited to join the Mediterranean grouping without informing the African Union but inviting all 27 members of the European Union. Without the driving force behind the African Federation, the UPM failed even before it began, still-born with Sarkozy as president and Mubarak as vice president. The French foreign minister, Alain Juppe, is now attempting to re-launch the idea, banking no doubt on the fall of Qaddafi. What African leaders fail to understand is that as long as the European Union continues to finance the African Union, the status quo will remain, because there’s no real independence. This is why the European Union has encouraged and financed regional groupings in Africa. It is obvious that the West African Economic Community (ECOWAS), which has an embassy in Brussels and depends for the bulk of its funding on the European Union, is a vociferous opponent to the African federation. That’s why Lincoln fought the U.S. war of secession: because the moment a group of countries come together in a regional political organization, it weakens the main group. That is what Europe wanted and the Africans have never understood the game plan, creating a plethora of regional groupings, COMESA, UDEAC, SADC and the Great Maghreb, which never saw the light of day, thanks to Qaddafi who understood what was happening. 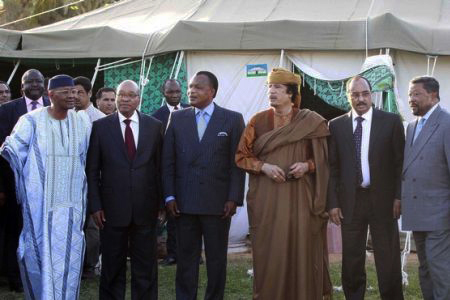 For most Africans, Qaddafi is a generous man, a humanist, known for his unselfish support for the struggle against the racist regime in South Africa. If he had been an egotist, he wouldn’t have risked the wrath of the West to help the ANC both militarily and financially in the fight against apartheid. This was why Mandela, soon after his release from 27 years in jail, decided to break the U.N. embargo and travel to Libya on Oct. 23, 1997. For five long years, no plane could touch down in Libya because of the embargo. One needed to take a plane to the Tunisian city of Jerba and continue by road for five hours to reach Ben Gardane, cross the border and continue on a desert road for three hours before reaching Tripoli. The other solution was to go through Malta, and take a night ferry on ill-maintained boats to the Libyan coast. A hellish journey for a whole people, simply to punish one man. Indeed, the West still considered the South African racists to be their brothers who needed to be protected. That’s why the members of the ANC, including Nelson Mandela, were considered to be dangerous terrorists. It was only on July 2, 2008, that the U.S. Congress finally voted to remove the name of Nelson Mandela and his ANC comrades from their [terrorist] blacklist. It was only on July 2, 2008, that the U.S. Congress finally voted to remove the name of Nelson Mandela and his ANC comrades from their [terrorist] blacklist, not because they realized how stupid that list was but because they wanted to mark Mandela’s 90th birthday. 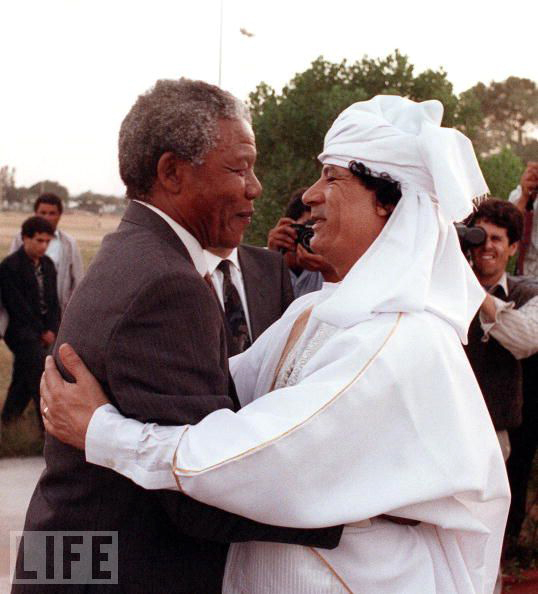 If the West was truly sorry for its past support for Mandela’s enemies and really sincere when they name streets and places after him, how can they continue to wage war against someone who helped Mandela and his people to be victorious: Qaddafi? And what if Qaddafi’s Libya were more democratic than the USA, France, Britain and other countries waging war to export democracy to Libya? On March 19, 2003, President George Bush began bombing Iraq under the pretext of bringing democracy. On March 19, 2011, exactly eight years later to the day, it was the French president’s turn to rain down bombs over Libya, once again claiming it was to bring democracy. Nobel peace prize-winner and U.S. President Obama says unleashing cruise missiles from submarines is to oust the dictator and introduce democracy. The question that anyone with even minimum intelligence cannot help asking is the following: Are countries like France, England, the USA, Italy, Norway, Denmark, Poland who defend their right to bomb Libya on the strength of their self-proclaimed democratic status really democratic? If yes, are they more democratic than Qaddafi’s Libya? 1. The state: The bigger a country, the less democratic it can be. According to Rousseau, the state has to be extremely small so that people can come together and know each other. Before asking people to vote, one must ensure that everybody knows everyone else. Otherwise voting will be an act without any democratic basis, a simulacrum of democracy to elect a dictator. The Libyan state is based on a system of tribal allegiances, which by definition group people together in small entities. 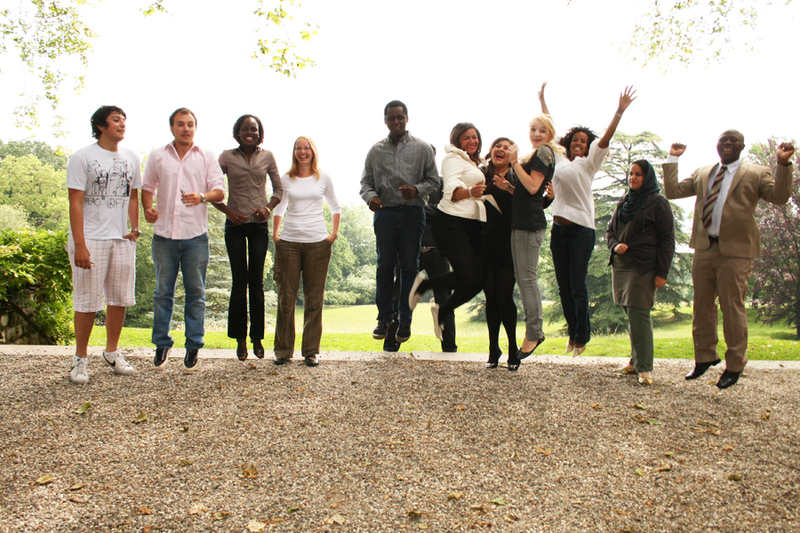 The democratic spirit is much more present in a tribe, a village than in a big country, simply because people know each other, share a common life rhythm which involves a kind of self-regulation or even self-censorship in that the reactions and counter-reactions of other members impact on the group. From this perspective, it would appear that Libya fits Rousseau’s conditions better than the USA, France and Great Britain, all highly urbanized societies where most neighbors don’t even say hello to each other and therefore don’t know each other even if they have lived side by side for 20 years. These countries leapfrogged into the next stage – “the vote” – which has been cleverly sanctified to obfuscate the fact that voting on the future of the country is useless if the voter doesn’t know the other citizens. This has been pushed to ridiculous limits with voting rights being given to people living abroad. Communicating with and amongst each other is a precondition for any democratic debate before an election. Communicating with and amongst each other is a precondition for any democratic debate before an election. 2. Simplicity in customs and behavioral patterns are also essential if one is to avoid spending the bulk of the time debating legal and judicial procedures in order to deal with the multitude of conflicts of interest inevitable in a large and complex society. Western countries define themselves as civilized nations with a more complex social structure, whereas Libya is described as a primitive country with a simple set of customs. This aspect too indicates that Libya responds better to Rousseau’s democratic criteria than all those trying to give lessons in democracy. Conflicts in complex societies are most often won by those with more power, which is why the rich manage to avoid prison because they can afford to hire top lawyers and instead arrange for state repression to be directed against someone one who stole a banana in a supermarket rather than a financial criminal who ruined a bank. In the city of New York for example where 75 per cent of the population is white, 80 per cent of management posts are occupied by whites, who make up only 20 per cent of incarcerated people. 3. Equality in status and wealth: A look at the Forbes 2010 list shows who the richest people in each of the countries currently bombing Libya are and the difference between them and those who earn the lowest salaries in those nations; a similar exercise on Libya will reveal that in terms of wealth distribution, Libya has much more to teach than those fighting it now, and not the contrary. So here too, using Rousseau’s criteria, Libya is more democratic than the nations pompously pretending to bring democracy. In the USA, 5 percent of the population owns 60 per cent of the national wealth, making it the most unequal and unbalanced society in the world. Is there more luxury in France than in Libya? The reports on employees committing suicide because of stressful working conditions even in public or semi-public companies, all in the name of maximizing profit for a minority and keeping them in luxury, happen in the West, not in Libya. The American sociologist C. Wright Mills wrote in 1956 that American democracy was a “dictatorship of the elite.” According to Mills, the USA is not a democracy because it is money that talks during elections and not the people. The results of each election are the expression of the voice of money and not the voice of the people. The results of each election are the expression of the voice of money and not the voice of the people. After Bush senior and Bush junior, they are already talking about a younger Bush for the 2012 Republican primaries. Moreover, as Max Weber pointed out, since political power is dependent on the bureaucracy, the U.S. has 43 million bureaucrats and military personnel who effectively rule the country but without being elected and are not accountable to the people for their actions. One person – a rich one – is elected, but the real power lies with the caste of the wealthy who then get nominated to be ambassadors, generals etc. How many people in these self-proclaimed democracies know that Peru’s constitution prohibits an outgoing president from seeking a second consecutive mandate? How many know that in Guatemala, not only can an outgoing president not seek re-election to the same post, no one from that person’s family can aspire to the top job either? Or that Rwanda is the only country in the world that has 56 per cent female parliamentarians? How many people know that in the 2007 CIA index, four of the world’s best-governed countries are African? That the top prize goes to Equatorial Guinea whose public debt represents only 1.14 percent of GDP? Rousseau maintains that civil wars, revolts and rebellions are the ingredients of the beginning of democracy. Because democracy is not an end, but a permanent process of the reaffirmation of the natural rights of human beings, which in countries all over the world – without exception – are trampled upon by a handful of men and women who have hijacked the power of the people to perpetuate their supremacy. There are here and there groups of people who have usurped the term “democracy” – instead of it being an ideal towards which one strives, it has become a label to be appropriated or a slogan which is used by people who can shout louder than others. If a country is calm, like France or the USA, that is to say without any rebellions, it only means, from Rousseau’s perspective, that the dictatorial system is sufficiently repressive to pre-empt any revolt. It wouldn’t be a bad thing if the Libyans revolted. What is bad is to affirm that people stoically accept a system that represses them all over the world without reacting. And Rousseau concludes: “Malo periculosam libertatem quam quietum servitium; translation: If gods were people, they would govern themselves democratically. Such a perfect government is not applicable to human beings.” To claim that one is killing Libyans for their own good is a hoax. After 500 years of a profoundly unequal relationship with the West, it is clear that we don’t have the same criteria of what is good and bad. We have deeply divergent interests. How can one not deplore the “yes” votes from three sub-Saharan countries – Nigeria, South Africa and Gabon – for Resolution 1973 that inaugurated the latest form of colonization baptized “the protection of people,” which legitimizes the racist theories that have informed Europeans since the 18th century and according to which North Africa has nothing to do with sub-Saharan Africa, that North Africa is more evolved, cultivated and civilized than the rest of Africa? It is as if Tunisia, Egypt, Libya and Algeria were not part of Africa. Even the United Nations seems to ignore the role of the African Union in the affairs of member states. The aim is to isolate sub-Saharan African countries to better isolate and control them. Indeed, Algeria (US$16 billion) and Libya (US$10 billion ) together contribute 62 per cent of the US$42 billion which constitute the capital of the African Monetary Fund (AMF). The biggest and most populous country in sub-Saharan Africa, Nigeria, followed by South Africa, are far behind with only US$3 billion each. It is disconcerting to say the least that for the first time in the history of the United Nations, war has been declared against a people without having explored the slightest possibility of a peaceful solution to the crisis. Does Africa really belong any more to this organization? Nigeria and South Africa are prepared to vote “Yes” to everything the West asks because they naively believe the vague promises of a permanent seat at the Security Council with similar veto rights. They both forget that France has no power to offer anything. If it did, Mitterand would have long done the needful for Helmut Kohl’s Germany. A reform of the United Nations is not on the agenda. The only way to make a point is to use the Chinese method – all 50 African nations should quit the United Nations and only return if their longstanding demand is finally met, a seat for the entire African federation or nothing. This non-violent method is the only weapon of justice available to the poor and weak that we are. We should simply quit the United Nations because this organization, by its very structure and hierarchy, is at the service of the most powerful. We should leave the United Nations to register our rejection of a worldview based on the annihilation of those who are weaker. They are free to continue as before but at least we will not be party to it and say we agree when we were never asked for our opinion. And even when we expressed our point of view, like we did on Saturday, March 19, in Nouakchott, when we opposed the military action, our opinion was simply ignored and the bombs started falling on African people. Today’s events are reminiscent of what happened with China in the past. Today, one recognizes the Ouattara government, the rebel government in Libya, like one did at the end of the Second World War with China. The so-called international community chose Taiwan to be the sole representative of the Chinese people instead of Mao’s China. It took 26 years, until Oct. 25, 1971, for the U.N. to pass Resolution 2758, which all Africans should read to put an end to human folly. China was admitted and on its terms – it refused to be a member if it didn’t have a veto right. When the demand was met and the resolution tabled, it still took a year for the Chinese foreign minister to respond in writing to the U.N. Secretary General on Sept. 29, 1972, a letter which didn’t say yes or thank you but spelled out guarantees required for China’s dignity to be respected. What does Africa hope to achieve from the United Nations without playing hardball? We saw how in Cote d’Ivoire a U.N. bureaucrat considers himself to be above the constitution of the country. We entered this organization by agreeing to be slaves. And to believe that we will be invited to dine at the same table and eat from plates we ourselves washed is not just credulous, it is stupid. Jean-Paul Pougala, a Cameroonian writer, is the director of the Institute of Geostrategic Studies and professor of sociology at the Geneva School of Diplomacy and International Relations in Switzerland. 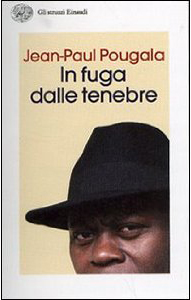 He describes his most successful book, “In fuga dalle tenebre” (“Escaping from Darkness”), which is used by about 300 secondary schools in Italy, as “an autobiography of the life of an African on four continents, starting from my childhood in very deep poverty in Africa then breaking the invisible chains of modern slavery through knowledge hunting.” He can be reached at pougala@gmail.com. This story first appeared in French on March 28, 2011. It was translated by Sputnik Kilambi, a Knight International Journalism Fellow who trained radio journalists and helped create Rwanda’s first independent television news station. She can be reached at sputnikkilambi@yahoo.co.in. On Oct. 1, 2009, the leader of the Libyan Revolutionary Committees Movement, Col. Muammar al-Qaddafi, attended the United Nations General Assembly for the first time and tore up the worthless United Nations Charter. 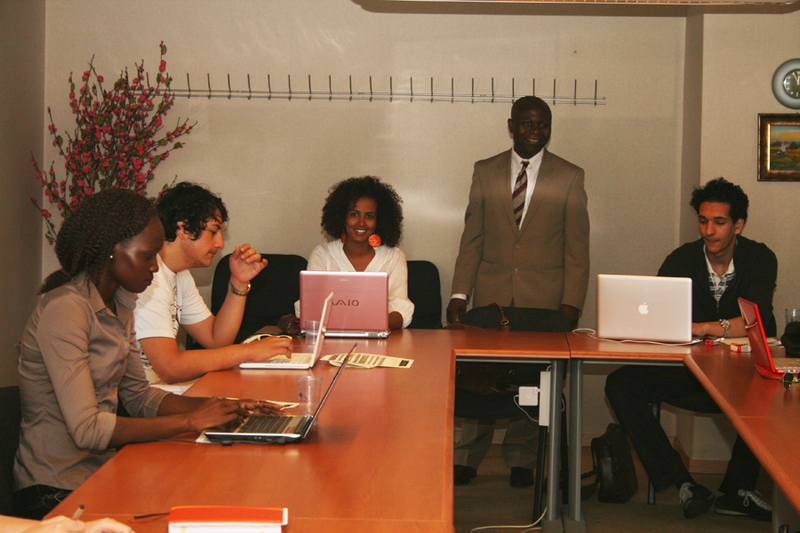 His full speech, translated to English, was posted to Mathaba on April 16, 2011: http://www.mathaba.net/news/?x=626459.